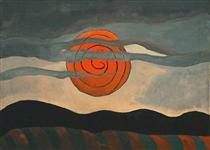 Arthur Garfield Dove (August 2, 1880 – November 23, 1946) was an American artist. 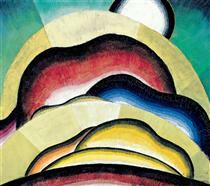 An early American modernist, he is often considered the first American abstract painter. 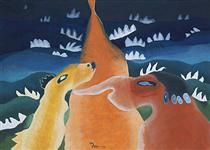 Dove used a wide range of media, sometimes in unconventional combinations, to produce his abstractions and his abstract landscapes. 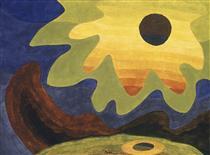 Me and the Moon from 1937 is a good example of an Arthur Dove abstract landscape and has been referred to as one of the culminating works of his career. 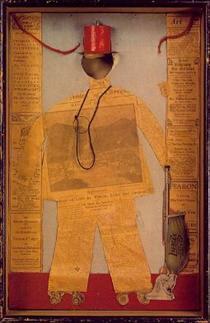 Dove did a series of experimental collage works in the 1920s. 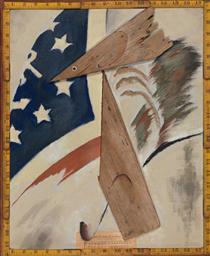 He also experimented with techniques, combining paints like hand mixed oil or tempera over a wax emulsion as exemplified in Dove's 1938 painting Tanks, in the collection of the Boston Museum of Fine Arts. Dove was born to a wealthy family in Canandaigua, New York. His parents, William George and Anna Elizabeth, were of English ancestry. William Dove was interested in politics and named his son Arthur Garfield, after the Republican candidates for President and Vice-President in the 1880 election, James Garfield and Chester Arthur, who ultimately won the vote. 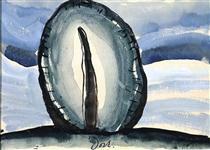 Arthur Dove grew up loving the outdoors on a farm; however, his father was a very successful businessman who owned a brickyard (along with city real estate) and expected his son to become wealthy. Dove's childhood interests included playing the piano, painting lessons, and being a pitcher on a high school baseball team. As a child, he was befriended by a neighbor, Newton Weatherby, a naturalist who helped form Dove's appreciation of nature. 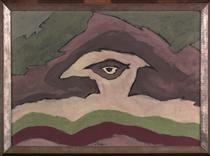 Weatherby was also an amateur painter who gave Dove pieces of leftover canvas to work with. 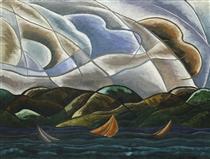 Dove attended Hobart College and Cornell University, and graduated from Cornell in 1903. Dove was chosen to illustrate the Cornell University yearbook. Dove's illustrations proved popular because they brought life to the characters and situations they depicted. After graduation, he became a well known commercial illustrator in New York City, working for Harper's Magazine and The Saturday Evening Post. Dove's parents were upset at his choice to become an artist, instead of a more profitable profession that his Ivy League degree would have enabled, and they would prove unsympathetic to the difficulties that came with a career in art. 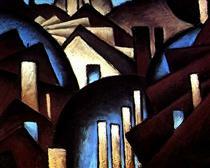 In 1907, Dove and his first wife, Florence, traveled to France and moved to Paris, then the world's art capital. They made short trips to both Italy and Spain. 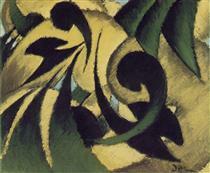 While there, Dove joined a group of experimental artists from the United States, which included Alfred Henry Maurer. Dove and Maurer remained friends until Maurer's suicide in 1932. While in Europe, Dove was introduced to new painting styles, in particular the Fauvist works of Henri Matisse, and he exhibited at the annual Autumn Salon in 1908 and 1909. 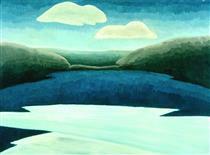 Feeling a clearer sense as an artist, he returned to New York. His return to commercial illustration was unsatisfying, so Dove moved out of New York to make a living off farming and fishing while devoting the rest of his time to painting. 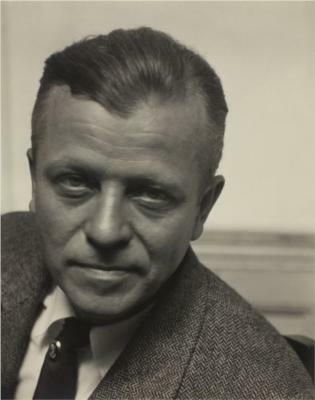 His son, William C. Dove, was born on July 4, 1909.